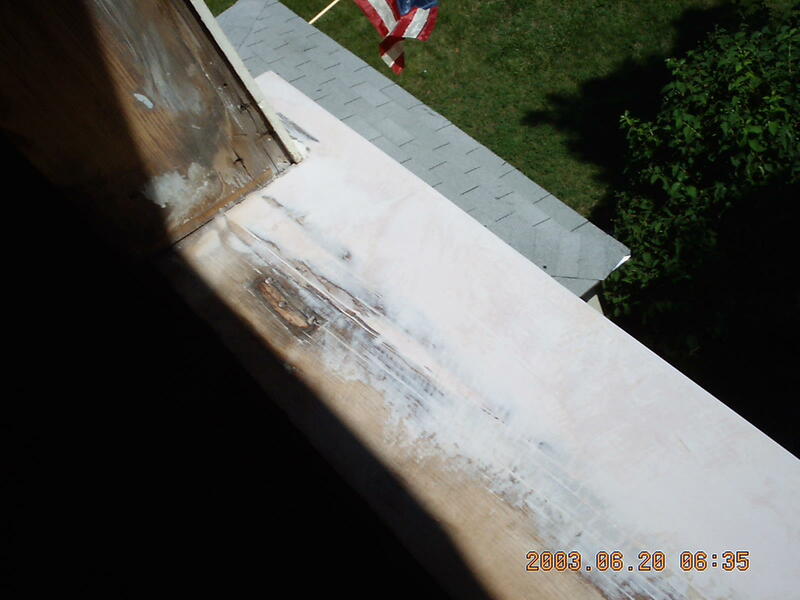 The window sills for the tower windows are in pretty bad shape, showing the effects of many years of neglect and weathering. Time to try some experimenting to see what sort of process will hold up the best. The first window will be done using Bondo. 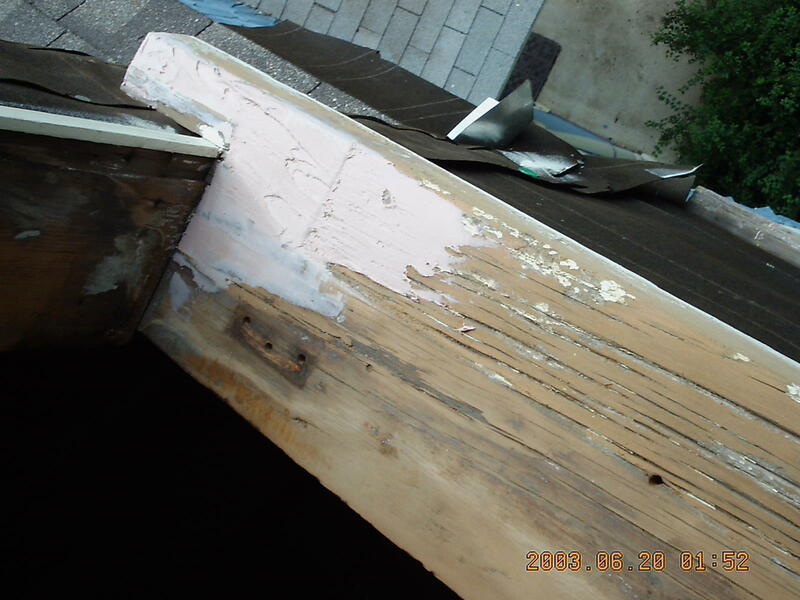 In the photo above, some Bondo has been applied to fill in the deep cracks and try to rebuild the original wood that has been weathered away. 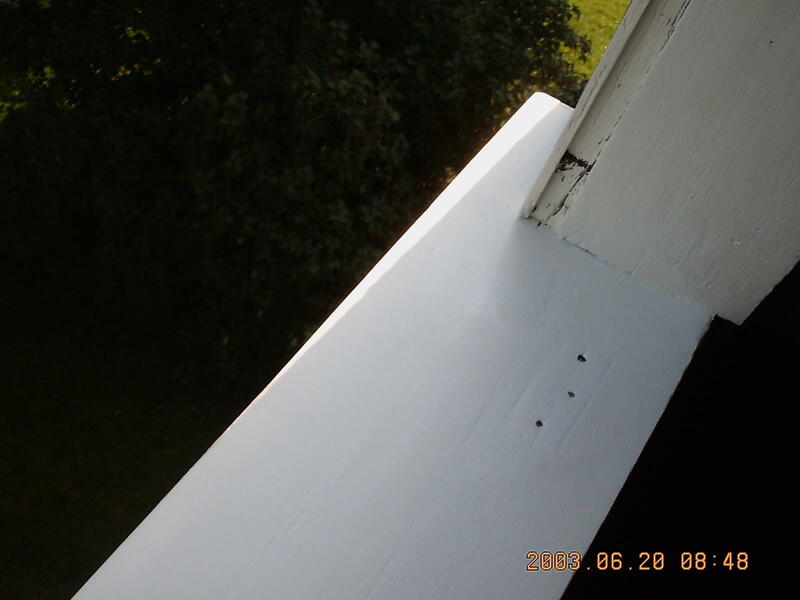 A view of the other end of the window sill, showing the extent of the weathering damage. 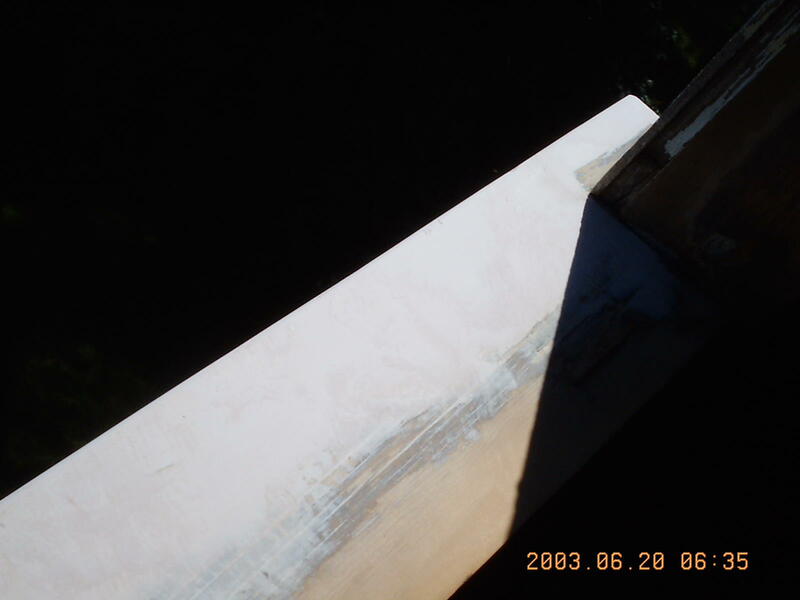 The left end of the window sill with the Bondo applied and sanded smooth. 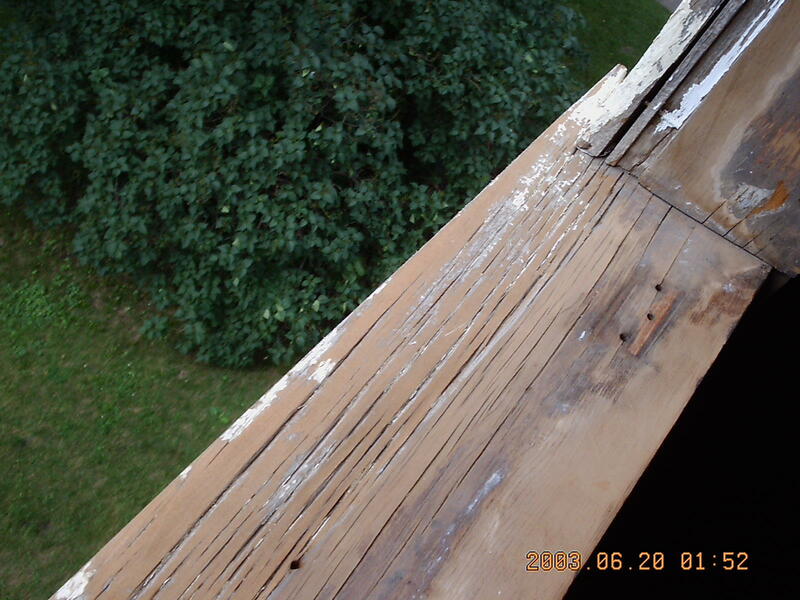 There was approximately 1/4 of an inch of the original wood worn away in some places. The other end of the window sill, with the Bondo applied and sanded smooth. Left side of the window sill painted. The other side of the window sill painted. Completed window sill. It looks pretty good. I guess time will tell if this process will hold up. 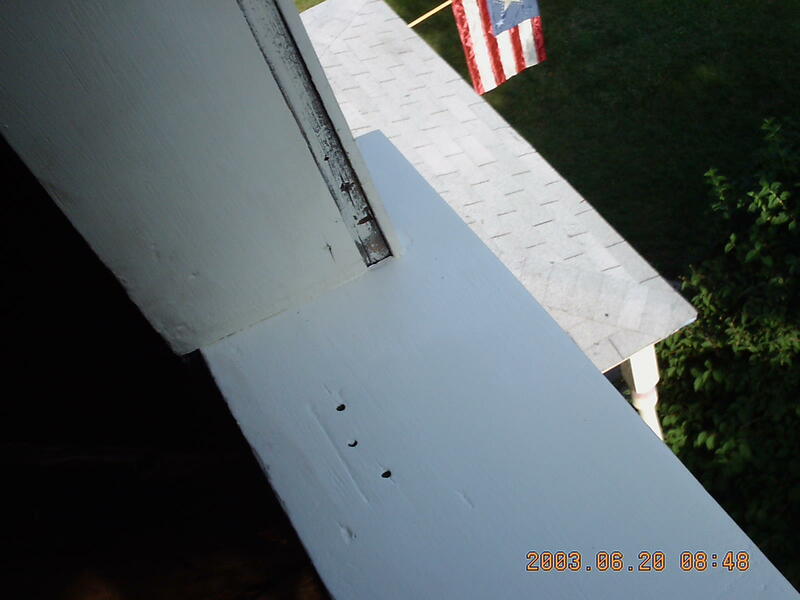 Hopefully, it will because it’s a fairly easy task, and would save having to try and replace the window sills. 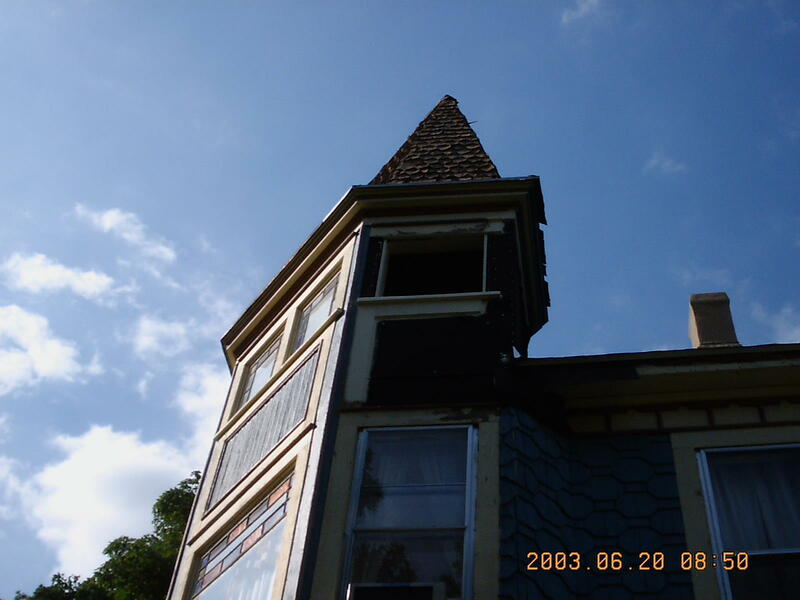 The main problem with replacement is that the wood sold now days isn’t as thick as the original window sill wood, so you run into issues with a replacement piece not fitting properly into the original structure. 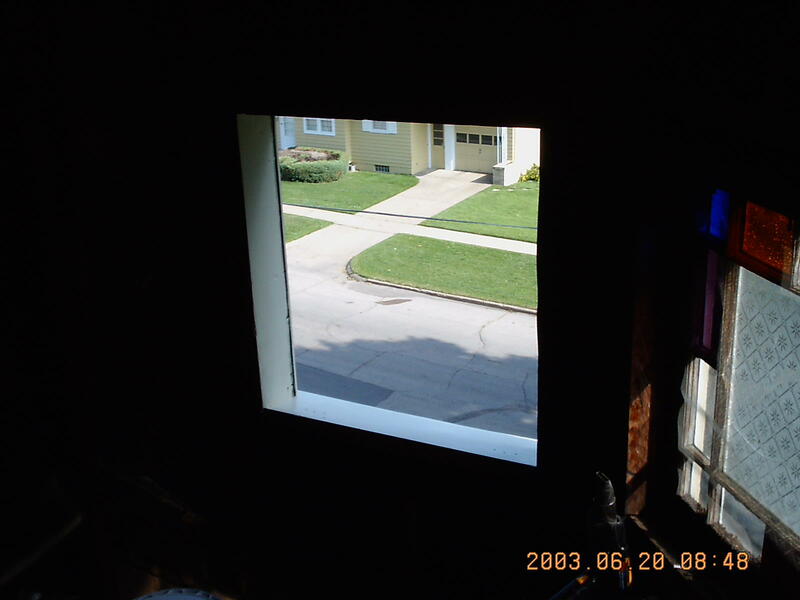 View from the outside of the finished window sill.